Sorry Corporate America, but you're no safer from the badgering tactics of hedge fund activists than you were before chemical giant DuPont roundly defeated billionaire investor Nelson Peltz. On Wednesday, Peltz's hedge fund firm, Trian Fund Management, lost its bid for four board seats at the chemical company it was seeking to split into pieces. Trian, which owns a 2.7% stake in DuPont, boasted afterward that "the vote was close," but it still failed to secure even a single seat. Despite Trian's resounding defeat, companies should think twice before declaring victory. Hedge fund activists like Carl Icahn and Dan Loeb, who push for changes that will boost stock prices, are bigger and more successful than ever before. And Trian's loss to DuPont won't likely change that. Even Jeffrey Sonnenfeld, the Yale professor who publicly criticized Peltz for his fight with DuPont, agreed that Peltz's loss in Delaware won't do much to stop large investors from making demands and then threatening board fights, known as proxy contests, if they don't get their way. 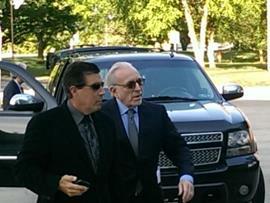 "I think he will lick some wounds but will be back at it," Sonnenfeld of Peltz in an interview. "It's certainly a setback, but it's not a fatal blow." Total assets under management in the activist space are now over $100 billion, according to consulting firm PWC. Meanwhile, activists are winning more often than ever before — even as the number of total fights is shrinking and as they target bigger companies, like Apple and Yahoo. Last year, 73.1% of proxy fights resulted in a board seat or some other company concession, according to data researcher FactSet. That's up from 57% in 2008 and 52.3% in 2007. The rise comes even as the total number of fights has fallen since the heady days before the financial crisis, according to FactSet. Meanwhile, the number of settlements is also at new highs, suggesting that companies are more likely to give in to an activist's demands than put up a costly fight. Last year, 55% of proxy fights resulted in a settlement before shareholders could vote, up from 31% in 2009 and 43% in 2008, according to FactSet. •Carl Icahn bowed out of his bitter proxy battle with online retailer eBay in April 2014. A few months later, the company agreed to follow through on Icahn's plan to spin off its money transactions business PayPal. It also gave him a seat on the board. •Jeff Smith of Starboard Value lost his 2012 battle to win board seats at email provider AOL. The hedge fund went on to other wins, however, including overthrowing the entire board of Darden Restaurants, which owns Olive Garden, last year. •Bill Ackman famously choked up at the Target shareholder meeting in 2009 after he lost his attempt at board seats. The founder of Pershing Square Capital Management went on to other wins, however, leading to returns of over 40% last year when the average hedge fund returned closer to 2%. Peltz's loss does serve to remind increasingly emboldened activists to tread carefully when it comes to companies that are performing well, like DuPont, experts said. Peltz "is going to have to pick his battles better," Sonnenfeld said. "Where he's good is going after truly sick companies. He should pick the right battles." And as more activists go after large, healthy companies for things like buybacks and dividends, they need to remember to play nice — like Icahn at Apple. Rather than wage an ugly proxy contest, Icahn gently urged Apple CEO Tim Cook to buy back more stock. In April, Apple said it would boost its buyback program to $140 billion from the $90 billion level announced last year. "This is really the first time someone has tried to replace a board that is outperforming," said Ken Squire of 13D Monitor on Peltz's fight with DuPont. "Activism is close, but it's not there yet," said Squire, who tracks proxy contests. Squire thinks Peltz may not be the last activist to battle for board seats at a healthy company, however. He noted that activist investing has come a long way since 2005, when boards had to be in pretty bad shape for an activist to win. As such, it's only a matter of time before activists start winning even at winning companies, he said. "Peltz is pushing the envelope and being a pioneer, and that's what happens with pioneers. It takes some time," Squire said.